Laura Ingalls Wilder is buried in Mansfield, MO. 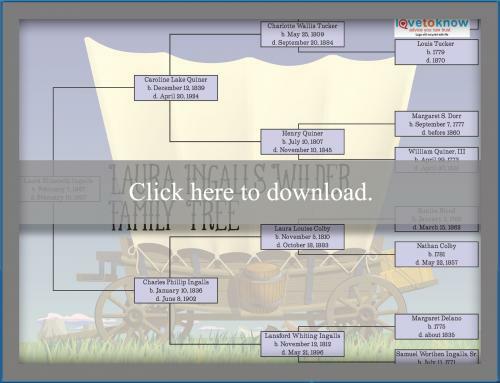 If you're a fan of the Little House books, you may have wondered about the ancestry of famed children's author Laura Ingalls Wilder. 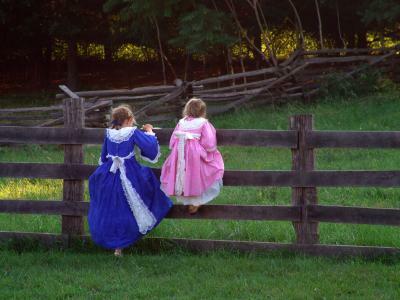 Although Laura has no living direct descendants, thousands of Americans share an ancestor or two with the ultimate pioneer girl. Laura Ingalls Wilder was descended from some old New England families. You can see three generations of her ancestors in this printable family tree. To open the printable, click on the image. Then you can save the document to your computer or print a hard copy. For help using printables, check out these handy tips. Family is one of the most important themes in the Wilder's books, and many readers feel an emotional connection with the characters in the stories. If your ancestors lived in America during the Colonial period, you may also share a genetic connection with Ma, Pa, Mary, Laura and the others. Many of Laura's ancestors arrived in the 17th and 18th centuries. Her eighth great-grandfather, Richard Warren, came over on the Mayflower. Laura Elizabeth Ingalls was born February 7, 1867, near Pepin, WI. She traveled with her family throughout the Midwest, eventually settling in Mansfield, Missouri (MO). On August 25, 1885, she married Almanzo James Wilder in De Smet, South Dakota (SD). Laura wrote the Little House books during the 1930s and 1940s and died on February 10, 1957, at her home in Mansfield, MO. 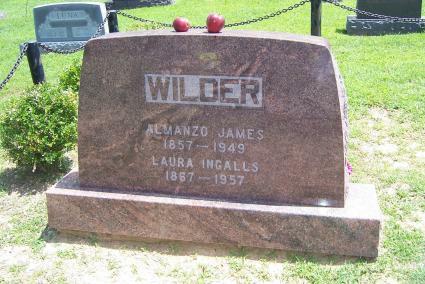 Laura and Almanzo had a son who died in infancy, as described in The First Four Years, and a daughter, Rose Wilder Lane, who was born December 5, 1886, near De Smet, SD and died October 30, 1968, in Danbury, Connecticut (CT). Rose was instrumental in supporting her mother's writing efforts and had no surviving children. Laura Ingalls Wilder immortalized her family in her series of children's books, which take place in the 1870s and 1880s. Laura's father, Charles Phillip Ingalls, who was known as "Pa" in the Little House books and was famous for the "wandering foot" that took his family all over the Midwest, was born January 10, 1836, in Cuba, New York (NY) and died June 8, 1902, in De Smet, SD. He married Caroline Lake Quinner on February 1, 1860. Known as "Ma" in the series, Caroline was born December 12, 1839, in Brookfield, Wisconsin (WI) and was one of the first Caucasian children born in that area. She died on April 20, 1923, in De Smet, SD. Mary Amelia was born January 10, 1865, near Pepin, WI, never married, and died October 17, 1928, in De Smet, SD. She lived at home with her parents after attending the Iowa College for the Blind. Caroline Celestia, known as "Carrie," was born August 3, 1870, in Montgomery County, Kansas (KS) and died June 2, 1946, near Keystone, SD. She worked in the newspaper business for many years, managing the local paper in Keystone. Eventually, she married David Swanzey and helped care for his children, but she had no biological children. Charles Frederick, who was not included in the Little House books, died at nine months of age in 1876. He is buried near the Zumbro River in MN. Grace Pearl was born May 23, 1877, in Burr Oak, Iowa (IA) and died November 10, 1941, in Kingsbury County, SD. She married Nathan Dow and had no children. Grace and her husband moved away from De Smet for a time but returned after Caroline's death to help care for Mary. Lansford Whiting Ingalls was born November 12, 1812, in Dunham, Quebec, Canada and died May 21, 1896, near Pepin, WI. He lived in New York for several years prior to settling in Wisconsin with his family. Laura Louisa Colby was born November 5, 1810, in Holland, NY and died October 18, 1883, near Pepin, WI. According to Becoming Laura Ingalls Wilder by John E. Miller, she was a schoolteacher prior to her marriage at age 18. Laura Ingalls Wilder was named after her. Henry Newton Quiner was born in 1807 and died in a shipwreck on Lake Michigan in November 1844. According to Laura Ingalls Wilder, American Writer on the Prairie by Sallie Ketchum, he traded with the Ho-Chunk Indians and engaged in farming prior to his death. Charlotte Wallis Tucker was born May 25, 1809, in Massachusetts (MA) and died September 20, 1884, in Rome, WI. She worked as a dressmaker prior to her first marriage. After the death of her husband, Henry, she remarried to a man named Frederick Holbrook. Samuel Ingalls, who was born in 1771 and died in 1841. According to Becoming Laura Ingalls Wilder, Samuel returned to the United States from Canada in order to enlist in the Army during the War of 1812. He is buried in New York. Margaret Delano, who was born in 1773 and died in 1837. She is buried in the North Cuba Cemetery in New York. Nathan Colby, who was born in 1778 and died in 1857. He is buried in the North Cuba Cemetery as well. Eunice Blood, who was born 1782 and died in 1862. Find a Grave reports that she is also buried in the North Cuba Cemetery. William Quiner, who was born in 1773 and died in 1831. The location of his grave is unknown, but it is likely in Connecticut. Margaret Doer, who was born in 1774 and died in 1839. She died in Connecticut and is likely buried there. Louis Tucker, who was born in 1779 and died in 1870. According to some records on My Heritage, he may have been born in Scotland. His burial place is uncertain. Martha Morse, who was born about 1773 and died in 1862. She may have been born in Scotland, and her burial place is unknown. 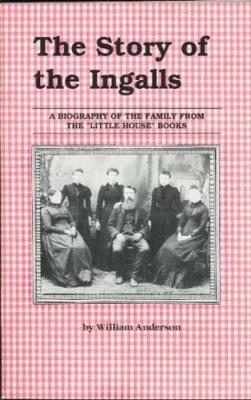 The Story of the Ingalls by William T. Anderson - This short volume is a quick read and gives plenty of background detail about the members of the Ingalls family. Laura Ingalls Wilder: A Biography by William T. Anderson - This lovingly crafted and sensitive biography offers more than just names and dates. You'll find plenty of facts but also photographs, direct quotes, and a plethora of information that creates a three-dimensional view of Laura's life and family. 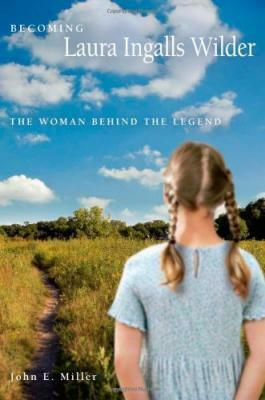 Becoming Laura Ingalls Wilder: The Woman Behind the Legend by John E. Miller - Full of meticulous research and fascinating details, this is a good read for adults who are interested in learning more about the family. Laura Ingalls Wilder: A Writer's Life by Pamela Smith Hill - This carefully sourced and researched book offers a scholar's view of Laura Ingalls Wilder's life and the many people in her family. To find out if you're related to Laura, trace your family's roots back to Colonial New England. Look for surnames in your tree that you have in common with the ancestors of Laura Ingalls Wilder. When you find a match, follow it back in both trees to find your common ancestor. You might just be part of this iconic American family!